Food for Thought! : Is the world jealous of Indian middle class prosperity? Is the world jealous of Indian middle class prosperity? 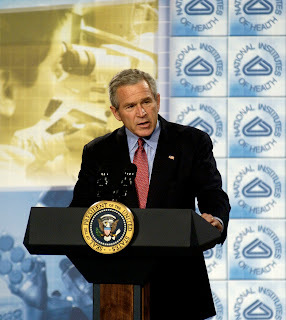 The US President George W Bush, on 2nd May 2008, sought to put the blame of the rising food prices on increase in demand of better nutrition from the burgeoning Indian middle class. Earlier, the Secretary of State, Condoleezza Rice, had also made a similar remark on the rising food prices, wherein she argued that improvement in diets of people in India and China has been responsible for this. Explaining the reason for rise in food prices to a Japanese-American who posed a question to Bush on this issue at a function in Maryland Heights in Missouri, the US President said: ''Just as an interesting thought for you, there are 350 million people in India who are classified as middle class. That's bigger than America. Their middle class is larger than our entire population. ''Bush said: ''When you start getting wealth, you start demanding better nutrition and better food, and so demand is high, and that causes the price to go up.'' He, however, did not subscribe to the notion that ethanol is the main cost driver for the food prices going up. In fact, besides Bush and Rice, during the past one week, several similar statements have emanated from US leadership in which they have tended to attribute the rising food prices to the increase in food demand from India and China. In response to such serious allegations, Chandrajit Banerjee, director general, CII, in the statement, "The entire issue of food prices needs to be seen in a global perspective and not just seen as an issue emanating from specific countries. There is a need for greater flow of global information on food production and consumption and cuts in food wastage." I think Bush should concentrate more on war related issues rather than such economic issues. Or is he worried of US being over thrown by India and China, as world's greatest economies? Suddenly, people subscribing to such opinion forgot that there are several world events happening causing food prices to escalate. There was a drought in Australia, production has reduced in several European countries, grain stocks has reduced in many countries including India and China. Exporting countries as diverse as Argentina, China, India, Russia, Ukraine, Kazakhstan and Vietnam have placed additional taxes or restrictions on exports of grains, rice, oilseeds and other products. By reducing supplies available for world commerce, these actions has led to an incraese in global commodity prices. This is in addition to the jumping crude oil prices and worldwide weather production problem. I would say it was a careless statement made by Mr. Bush and Indian politians are too busy in forthcoming domestic election, to comment on such issues.